The atmosphere is surrounding our earth from all sides in the form of a cover. Due to the gravitational force of earth , atmosphere is attached to earth from all sides. The life on our planet earth is due to this atmosphere. The atmosphere is composed of three basic elements. These are mostly found in the lower part of the atmosphere. Atmosphere is a combination of many gases. These gases are directly or indirectly necessary for the survival of atmosphere. 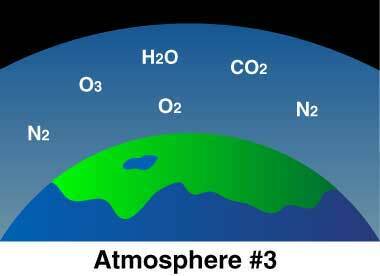 About 99% of the atmosphere consists of only two gases i.e. Nitrogen and oxygen and the amount of other gases are only 1% atmosphere is made of about 78% of nitrogen and 21% of oxygen. The fertility of soil depends on nitrogen. This gas is necessary for the growth of plants. It also helps in controlling fire. Oxygen is necessary for life. When we breathe, we absorb oxygen in our body. This gas interacts chemically with other elements immediately. It is absorbed into our blood. It gives us energy by burning our food. The survival of life is impossible without this gas. Oxygen helps in burning all kinds of energy resources e.g. Coal, oil, natural gas etc. No one can deny health e importance of variable gases in the atmosphere. Variable gases include carbon dioxide, water vapor and ozone. Carbon dioxide is heavier than other gases. The quantity of carbon dioxide has increased about 25% in the last two hundred years. The burning of energy sources e.g. Coal , oil , natural gases etc. Produces smoke which increases the quantity of carbon dioxide in the atmosphere. similarly the atmospheric temperature is also rising which is harmful for the survival of life. It affects global climate. The other variable gas is ozone (O3). 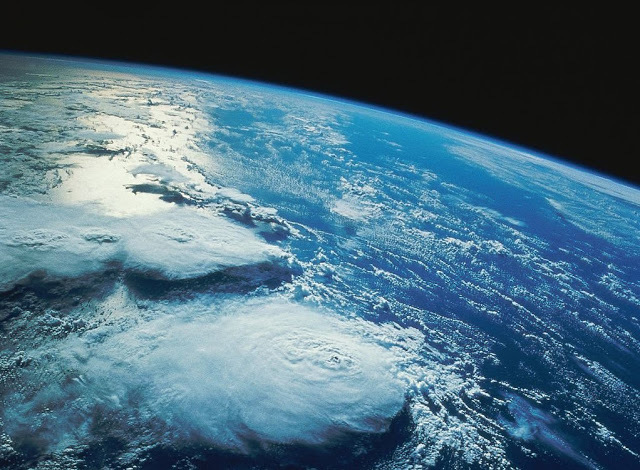 In the atmosphere , ozone is found about 17 to 50 kilometers above the earth's surface. carbondioxise is necessary for life. This gas interacts with other gases and make carbohydrates. These carbohydrates are necessary for the life of plants and animals. Carbon dioxide absorbs heat and moderates the temperature. Ozone stops the ultraviolet rays coming from the sun to reach earth. If ozone is not present in the atmosphere, the high energy ultraviolet rays will become a danger for the life on earth. Such high energy rays can cause skin cancer and eye disease. Ozone filters these ultraviolet rays before sending other rays to earth. Air contains pollution. Minute particles are suspended in air. The smoke from factories and vehicles contains a huge amount of carbon monoxide, sulfur and carbon dioxide etc. During burning the smoke particles enter into the air in the form of pollution.\polution is affecting the atmosphere of industrial cities. This is dangerous for public health. It causes diseases of the throat and breathing. Pollution also contains gases which rise up in the atmosphere and finish the ozone gas. In this way the amount of ozone is decreasing. The dust particle also flies from the earth's surface and enter the air. Their quantity is not uniform. Their quantity is greater in deserts as compared to humid areas. Their quantity is also large in urban an rural area. Water cvapour are present in the atmosphere in the form of gas. Among the variable gases, water vapor is a very important part of the atmosphere. Water vapors not only absorb heat but also help in transferring heat from the one place to another. If vapors are not present in the atmosphere, there will be no cloud and rain. The system of life depends on water vapor. Earth absorbed heat from the sun. Due to this heat. The water of oceans and other water bodies changes into vapor by vaporization. The water vapor adds to air. Their quantity in the atmosphere depends on temperature. If the temperature is higher the quantity of water vapor will also be high on atmosphere, due to the presence in atmosphefr the intensity of heat and cold remains moderate. DONT FORGET TO COMMENT AND SHARE. GET FREE EBOOK " CAUSES OF EARTHQUAKE" BY JUST PUTTING YPU EMAIL ID IN SUBSCRIPTION BOX.